The days started off grey and chilly, with us all meeting prompt at Hall Place. We set off on time and arrived in Faversham with the sun trying to shine through. 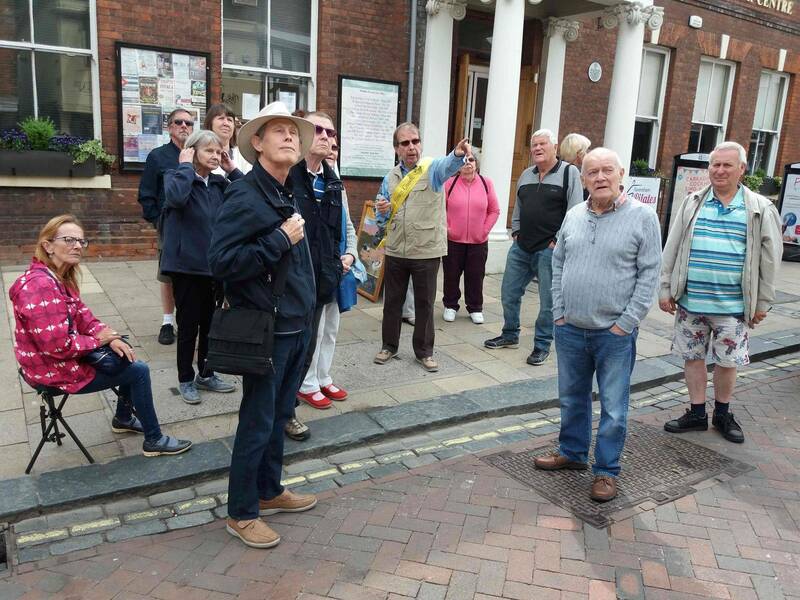 We were met by our tour guide Tony and after a short walk found us enjoying a coffee in The Vaults public house and a briefing from the tour Guide and his deputy Peter. We divided into two groups tortoises & greyhounds and off we went around the town. ﻿We learnt all about the 4 B’s, -- Bricks, Beer, Bombs and Bye pass. Bricks﻿. About mathematical tiles a ploy to get around the brick tax. Bombs. 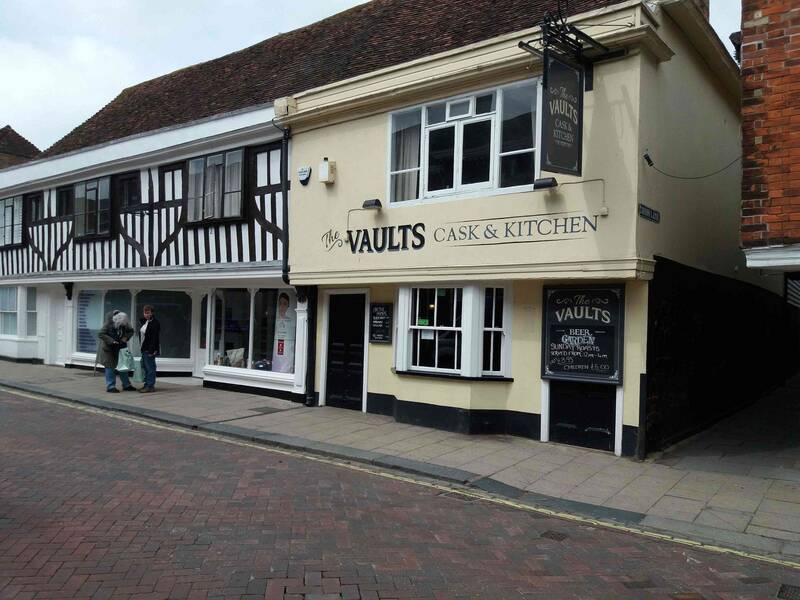 That Faversham was the original place for gunpowder to made in the UK. Bye Pass. The first bye-pass around the town for the route from Canterbury to London. We visited the market square and were surprised at the variety of different architecture. 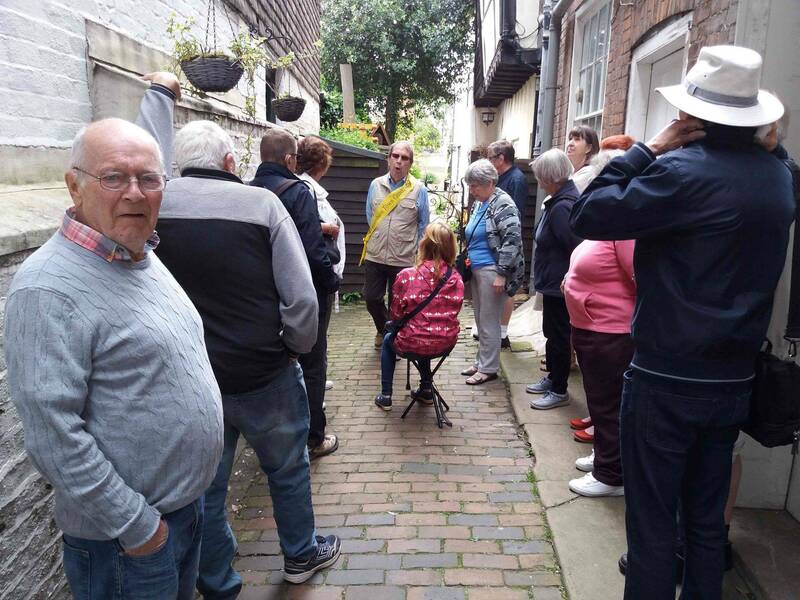 We were enthralled by the story of the plot to murder Thomas Arden in 1661 by his wife and this story has been immortalised in the play “Arden of Feversham.” We were confounded by the scales on the Market Hall in Market square. The steeple on the church St Mary of Charity it was explained was built like that with open sides (see photo) - so that if there was a gunpowder explosion in one of the towns factories then the steeple wouldn’t be blown over! We also saw a traffic bollard in Market Place that’s actually was the barrel of a cannon buried in the road. We saw the plaque in memory of Philip Neame an Olympic champion and Victoria Cross winner and founder of the Shepherd Neame brewery. 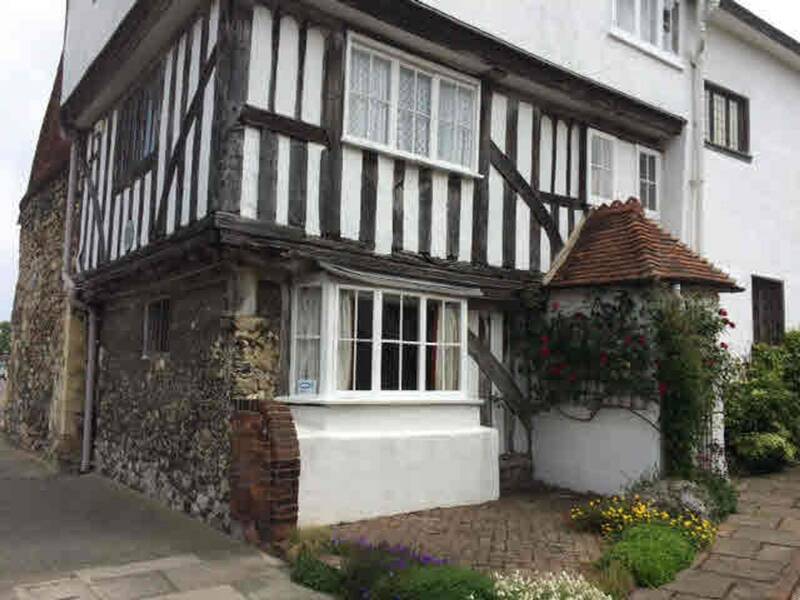 We saw the building where King James ll was detained whilst trying to flee to the continent, and the house where King Charles ll was entertained in 1660. 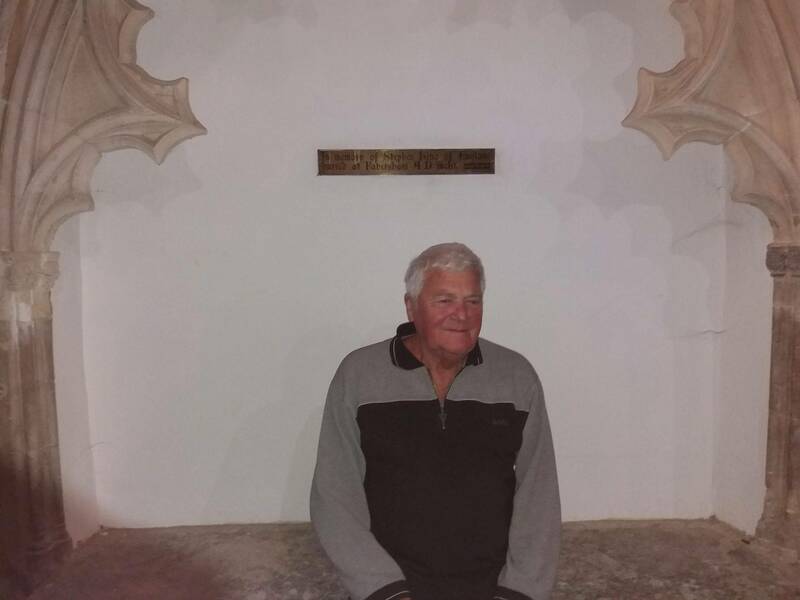 But all these Royal tales could not match Dave Smith sitting on the tomb of King Stephen who died in 1147. We then moved on to Brogdale and enjoyed a very tasty lunch before a little retail therapy around Brogdales. We were a little late departing for the journey home but had a good run and all arrived back at Hall place happy but tired.